Congratulations to Erin Prior of Supermarine Bowmen who has been selected to join the Junior GB Squad. 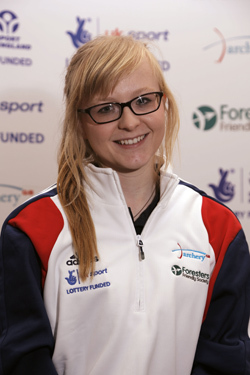 She currently trains at Meriden Archery Club whilst studying Psychology at Coventry University. Erin started Recurve archery in 2006 before switching to Compound in 2012. She has recently been to 2 squad training weekends at Lilleshall and is looking forward to her first selection shoot in April for the Junior European Championships in Slovenia. DWAA wish her the best of luck in the selection process!